Oregon’s nationally recognized Relief Nursery model serves families with children ages 0–5 who are most at-risk for abuse and neglect. In 2019, Children’s Institute is joining a coalition of early childhood advocates to request an additional $5.6 million in funding for Relief Nurseries to strengthen parent-child bonds and decrease abuse. 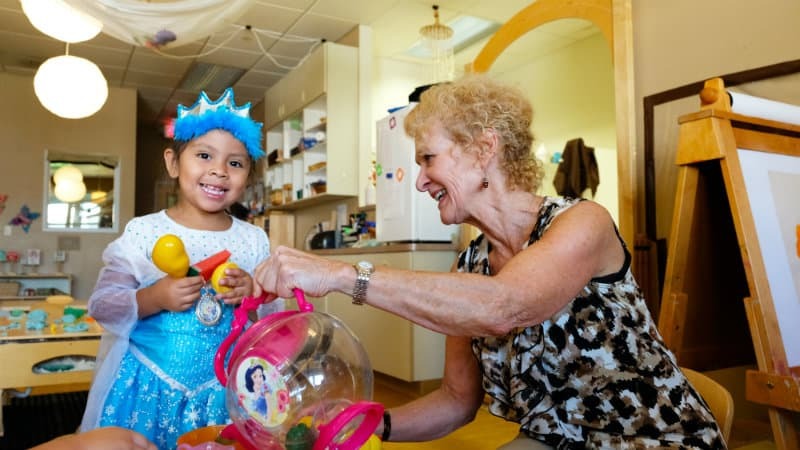 We spoke with the Association of Oregon Relief Nurseries Executive Director Cara Copeland to learn more the need for additional investments in these critical programs. All photos in this story were taken at the Chelsea’s Place Family Building Blocks Relief Nursery in Salem. Children’s Institute: Can you explain how Relief Nurseries, which are unique to Oregon, use a multidisciplinary approach to serve children and families? Cara Copeland: Relief Nurseries have been in Oregon for just over 40 years. The core model relies on three things: a therapeutic classroom for children, home visiting for parents, and parent education. 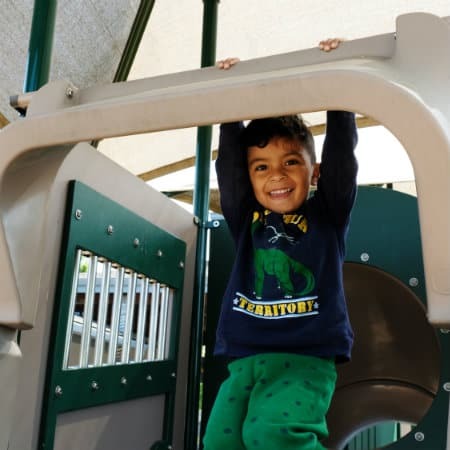 A lot of our children are behind developmentally, so we work one-on-one to make sure they’re ready for kindergarten, focusing on the social emotional development of kids ages 0­–5. The home visiting and parent education provide tools and emotional support. Many Relief Nurseries also have other supports: they might have food and diapers available, or mental health, drug and alcohol counseling, or peer services. CI: Why do you think the ages birth to 5 are such a critical time for kids and families? Cara Copeland: Research shows that a child’s brain is 80 percent developed by age 3. The first 1,000 days are the most critical. We know that if you don’t invest in that child in the first three years, you’re compromising that child’s future capacity. Cara Copeland explains how families can connect with a Relief Nursery. This is also an important time for a family to establish healthy patterns, especially for a first birth. Forty-five percent of children reported to be abused or neglected are under age 6, and 12 percent of children who suffer abuse are under age 1, according to the Oregon DHS 2017 Child Welfare Data Book. Many of our families are products of abuse, generational neglect, substance abuse, and incarceration. In those first few years when they are becoming a family, if we can establish some patterns of interaction and parent-child attachment, that’s going to serve that family for the long haul. CI: How do Relief Nurseries help establish those healthy patterns for families? Cara Copeland: Sometimes people think of Relief Nurseries as child care or preschool. 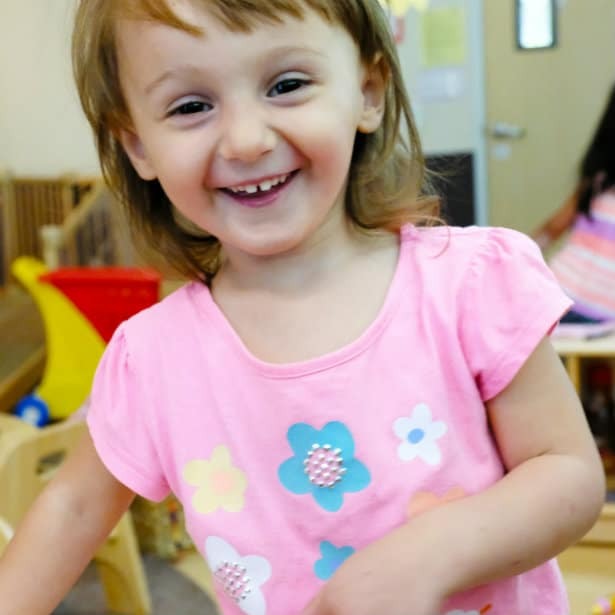 We do serve families that are raising children of preschool age, and we do care for their children, but we are neither child care nor a preschool program. We’re focused on building the five protective factors in families: concrete supports, social supports, understanding of child development, social-emotional competence of children, and parental resilience. 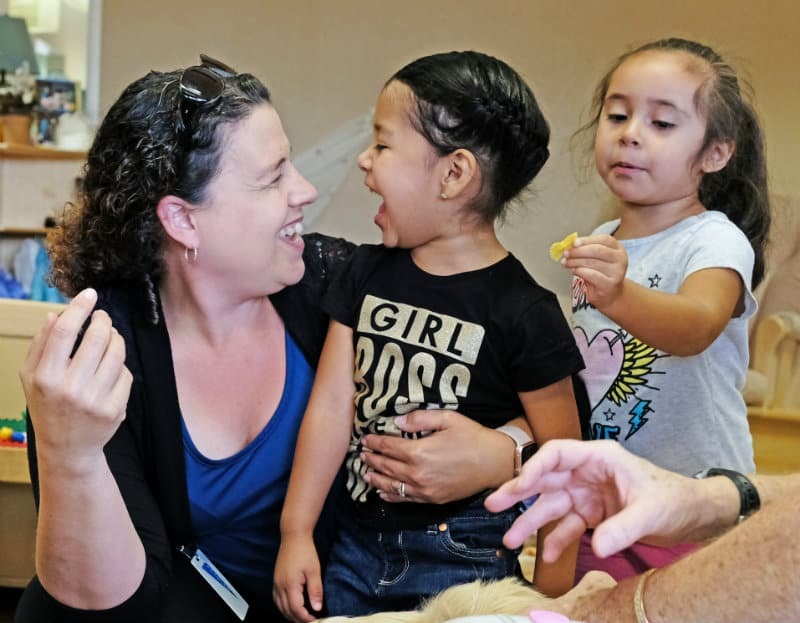 When parents have something traumatic happen to them—homelessness, food insecurity, domestic violence—that’s where relief nurseries step in, to build parental resilience along with these other supports. We can’t guarantee that life is going to get easier, but we can help give parents tools to stand up when life is hard. 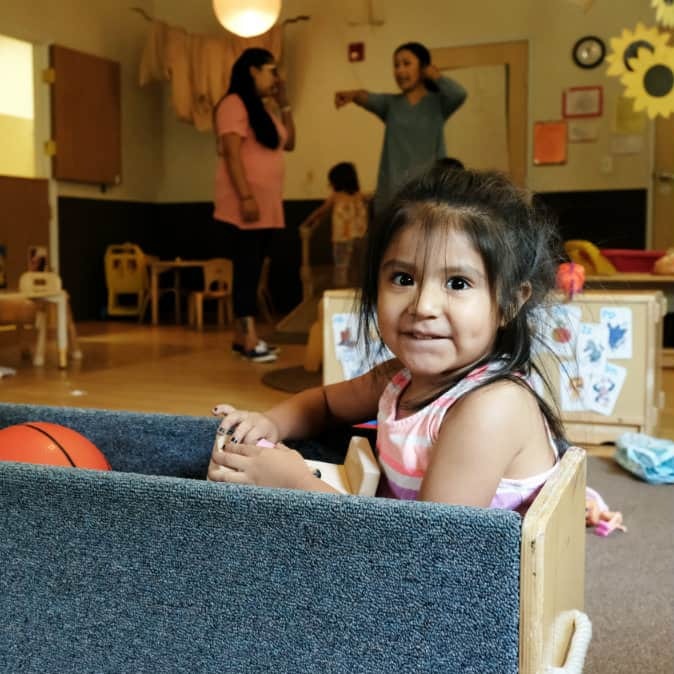 CI: What kind of impact have Relief Nurseries had in Oregon? Cara Copeland: Across the state Relief Nurseries serve about 3,000 children, and about 2,600 families. Forty percent of the families coming to us are already involved in child welfare. Statewide our families have an average of 16 risk factors associated with a higher likelihood of abuse and neglect, which often lead to foster care. Across the state, our most recent independent evaluation showed that 98 percent of our children required no further foster care placement after they entered Relief Nursery services. Parents love their children and they really want to parent, and we’re often their last chance at keeping their kids. We need a strong foster system. We need quality foster parents, and we need to support our foster parents. But my goal would be that at some point we have no need for foster care. Can you even imagine? I think that’s a worthy goal to fight for. Cara Copeland explains why trauma-informed care is critical to preventing child abuse and supporting families. Children’s Institute and many other early childhood advocacy groups from across the state recognize the value of Relief Nurseries and have joined together to request a $5.6 million investment in Relief Nurseries that help prevent child abuse and strengthen parent-child bonds. Learn more about our 2019 Policy Recommendations and add your voice in support of programs that support healthy and intact families.